Walter Crane was an English artist and book illustrator. He is considered to be the most prolific and influential children’s book creator of his generation. Along with Randolph Caldecott and Kate Greenaway, his is considered one of the strongest contributors to the child’s nursery motif that the genre of English children’s illustrated literature would exhibit in its developmental stages in the latter 19th century. His work featured some of the more colourful and detailed beginnings of the child-in-the-garden motifs that would characterize many nursery rhymes and children’s stories for decades to come. He was part of the Arts and Crafts movement and produced an array of paintings, illustrations, children’s books, ceramic tiles and other decorative arts. In this biographical story, an English toddler journeys with with his family and his German nanny to the south of France. Read for free online at Internet Archive. New lamps for old! and a most obliging genie. Read for free online at Internet Archive and at the University of Florida. A boy is cutting firewood in the forest. He overhears some thieves open the way into a cave with the words “open sesame.” This is one of the best-known tales from the Arabian Nights. Read for free online at Internet Archive and at the University of Florida. The letters of the alphabet are presented through traditional nursery rhymes, set in gilded letters and paintings. Read for free online at Internet Archive. This is the later reprint edition. The letters of the alphabet are presented through traditional nursery rhymes, set in gilded letters and paintings. Read for free online at Internet Archive. 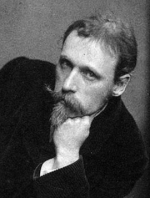 A critical appraisal of the work of Walter Crane. Read for free online at Internet Archive. An autobiography of the prolific Victorian artist and socialist. Read for free online at Internet Archive. A collection of popular nursery songs with music and illustrations. Read for free online at Internet Archive. A collection of nursery rhymes with music and pictures. Read for free online at Internet Archive. An illustrated ABC. Read for free online at Internet Archive. This is a collection of several of Walter Crane’s Toy Books. Aesop’s Fables, condensed and converted to rhyme. Read for free online at Internet Archive and at the University of Florida. A collection of pictures for the artist’s daughter. The classic tale of a daughter who redeems her father and saves her husband. Read for free online at Internet Archive. A reprinting of Beauty and the Beast, Princess Belle Etoile and The Yellow Dwarf.